Here’s a good innovative way of improvoving ergonomics on smart-phone ear-buds solving the fall-out problem: the Jabra CHILL (left) features a loop pushing the speaker towards the ear canal and thereby fixating it in the ear, and also amplifying the audio, so the product will appear to have better sound. The Jabra RHYTHM (center) is by its in-ear-canal design naturally secure. 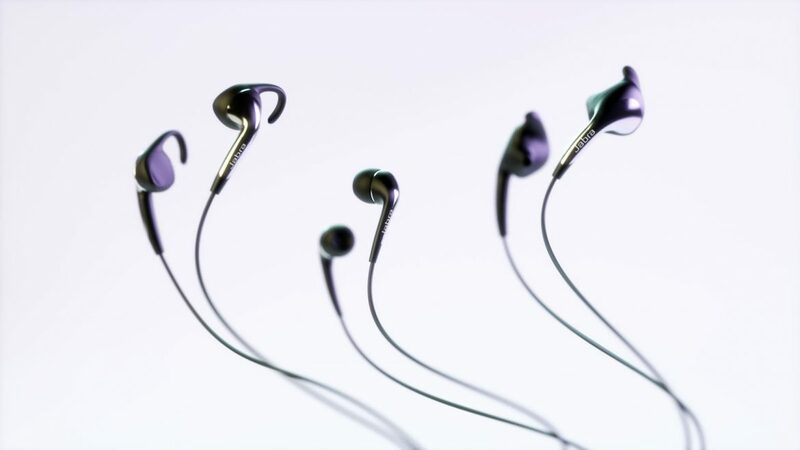 The Jabra ACTIVE (right), for sports or other more demanding music-lovers, since it has a more powerful speaker, is even more secure by the ear gel design. All buds were designed with flowing shapes, amplifying the ergonomic look.